Do My Prayers For the Persecuted Church Matter or Make a Difference? Voice of the Persecuted) I heard an account about a dear sister who had been imprisoned by North Korea for her faith in Jesus. By the grace of God, she had gotten out of the death camp where she had spent time in solitary confinement. I believe she made it to safety in South Korea. When asked how she had endured the hardship of imprisonment she answered, “I heard the prayers of the saints.” That one simple statement from this precious believer is enough to keep me praying for our persecuted brothers and sisters. Paul reminds us in his letter to the Ephesians that there’s unity in the Spirit. We are linked to the Lord Jesus Christ and to one another by the Holy Spirit. 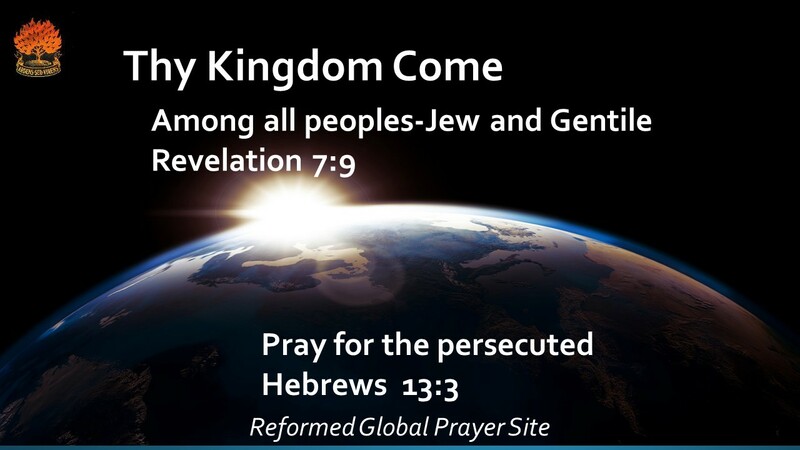 In our prayers for the persecuted, we pray in the Spirit. Thus, making it easy to believe this dear sister truly heard the prayers of the saints. We’ve been told many times by those we pray for, “I can feel your prayers.” That God answered our prayers by protecting them during an attack or other dire circumstances. This should be a great encouragement for us to keep praying for those precious saints in the shipping containers of Eritrea, the prisons of Iran, the death camps of North Korea, refugee camps in the Middle East and Africa or other places where the persecuted church exists. To realize we are linked by the Holy Spirit and know persecuted believers hear and feel our prayers. Paul also reminds us when one member of the body suffers, we all suffer. That we are to weep with those who are weeping. 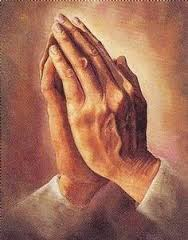 Praying for our persecuted brothers and sisters whether they are thousands of miles away in the bush of Nigeria or a village in India. The Holy Spirit links us so close to those suffering for the Lord Jesus Christ, it’s as if we can hear their cries, weep their tears and feel their pain. We can stand as Aaron and Hur lifting their arms in prayer to a loving, heavenly Father who deeply cares for them. Prayer may sometimes seem like the least important, but truly it’s the most effective and significant thing we can do for the persecuted. It’s our greatest weapon against evil attacking the Church, today. James reminds us that the urgent request of a righteous person is indeed very powerful in it’s effect. My brothers and sisters, stop listening to and ignore those who say prayer doesn’t work. Tune it out, it’s a deception of the great deceiver! Put on the armor of God, believe in His Word and His mighty power. Stand firm against the schemes of the devil. So if you’re wondering if your prayers even matter, remember those who say they do. You’re making a difference in the lives of many every time you pray. Don’t allow the prayer requests of the persecuted to be forgotten. Pray and listen to the Holy Spirit. He will surely direct you in how to remember our brothers and sisters facing extreme suffering in prisons and other places…as if we were with there with them. ← Pressure on believers in Laos.